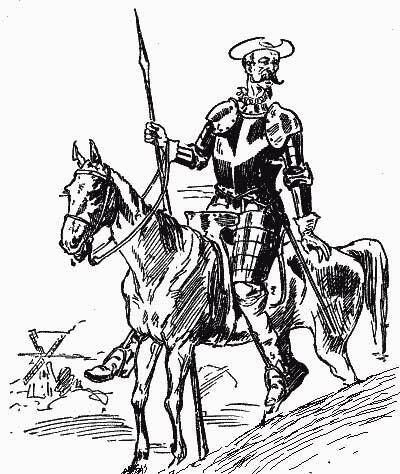 The phrase "tilting at windmills" (from the fictional character Don Quixote - shown in today's picture) epitomizes the hopelessness of a determined but inflexible approach. Far better to change your tactics than to fail - however nobly. Learning to Dance In The Rain with Free DVD You can watch before you buy.